Batteries come packaged in bright blister packs emblazoned with vague guarantees such as “45% more pictures” and “five times longer lasting.” During his internship at BitBox this summer, [Thomas] decided to put those statements to the test. He tested thirty brands of batteries on a homebrew rig to find the batteries with the most power and the most bang for your buck. The hardware [Thomas] used an STM32 microcontroller to perform two different tests: a high drain and a low drain condition. For the high drain, 1000 mA were sucked out of the batteries until the voltage reached 0.8 V. For the low drain, 200 mA were used. Data including milliwatt-hours, milliamp-hours, joules, voltage, current, power, and effective load resistance were all logged for both conditions for all 30 batteries. Generalizing the results for both low and high drain conditions, lithium batteries were better than alkaline, which were both better than zinc AA cells. Perhaps unsurprisingly, batteries marketed as ‘long life’ and ‘extended power’ were the worst batteries for the money, but a brand-name battery – the Kodak Xtralife cells – were actually the best value for the money. 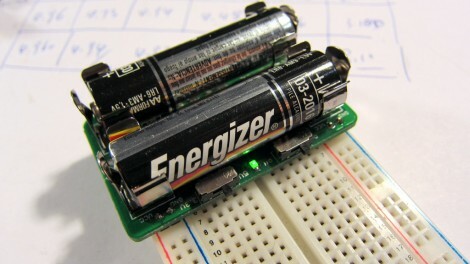 [Ray’s] breadboard power supply lets you drain the last traces of power from ‘dead’ AA batteries. 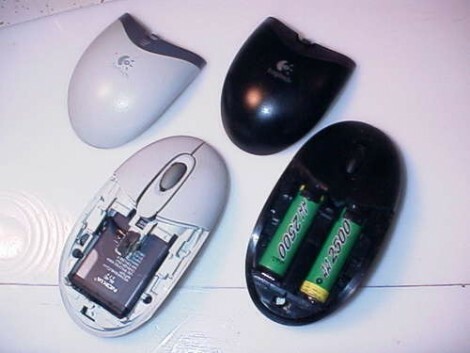 Electronics that are powered off of disposable alkaline batteries have a cutoff voltage that usually leaves a fair amount of potential within. Since many municipal recycling programs don’t take the disposables (you’re just supposed to throw them in the trash!) we love the idea of squeezing them for prototyping use. His design uses just one IC, the MCP1640, along with a handful of passive components. The chip is a boost converter with a startup voltage of just 0.65V, which means the batteries themselves – normally starting life above 1.5V – can be used until they drop to about 0.3V each. Above you can see the kit he is selling. But it’s an open source project and the circuit is so simple we’re sure you can build your own. Add that boost converter chip to your next parts order for around $0.40. [Ray] made a nice demo video for the device which you can see embedded after the break. It turns out there’s nothing more than six Nickel Cadmium AA rechargeable batteries inside of that cordless Dremel battery pack. Yep, standard rechargeable AA’s that you can buy most anywhere, and now you can revive that aging battery pack by following [Stuuf’s] guide. Since you’re already at it, a few more bucks will yield a real upgrade by using the superior Nickel Metal Hydride batteries which should yield around three times as much use between charging. We totally understand having a battery pack, since the shape of the case is part of the handheld tool, and it should be easy to interchange the battery as one unit. We just wish that the battery pack had been designed to have the AA cells swapped out by the user once they had reached the end of the line. Do you have other cordless tools in need of a pick-me-up? 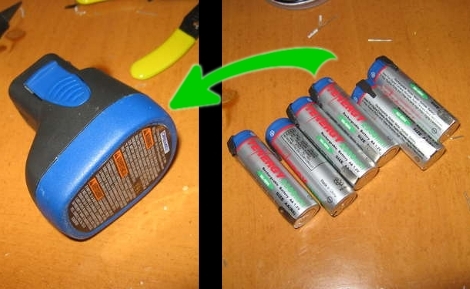 Check out this Makita battery pack repair hack for a point in the right direction. [Jason Statham] [Martin Magnusson] wrote in to tell us about his adventure in building a wearable computer. The device in its current state is a Beagleboard running Angstrom Linux tethered to an iPhone for internet. A bluetooth keyboard allows for input, while output is displayed on monocle-ized Myvu. And last but not least, the entire setup is powered by 4 AA batteries for 3 hours of life. 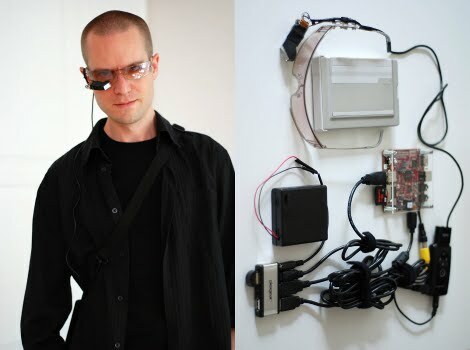 Its not as small as some of the wearable computers we’ve seen before, but if you wanted to whip out your own it sure takes a lot less soldering.